Here is a great post that explains the effect of a CPU NB overclock and RAM Speed & Timings. Please post a screenshot of your MaxxMem results and the SPD tab of CPU-z to be added to the list. If your memory brand is not the same as your sig rig, please post that too. It would be extremely helpful if you post a link to your exact memory. odin2free is able to update the spreadsheet. If you see him update it, you may want to thank him properly as he deserves some recognition for all the work he does! Note: If for some reason your score has not been added and or updated, Please contact one of the members listed below as we can rectify it fairly quick and are the most active with updating the spreadsheet. Looks like I am using an incredibly old version. Nice results considering your NB is at stock clocks. 2013 and 2014 Country Cup Champions! Here is mine. I am using Corsair Dominator at 7-7-6-17-22-1t @ 1664. I am using Window 7 32 bit though. Heatware // OCN Creed: "Room too cold? 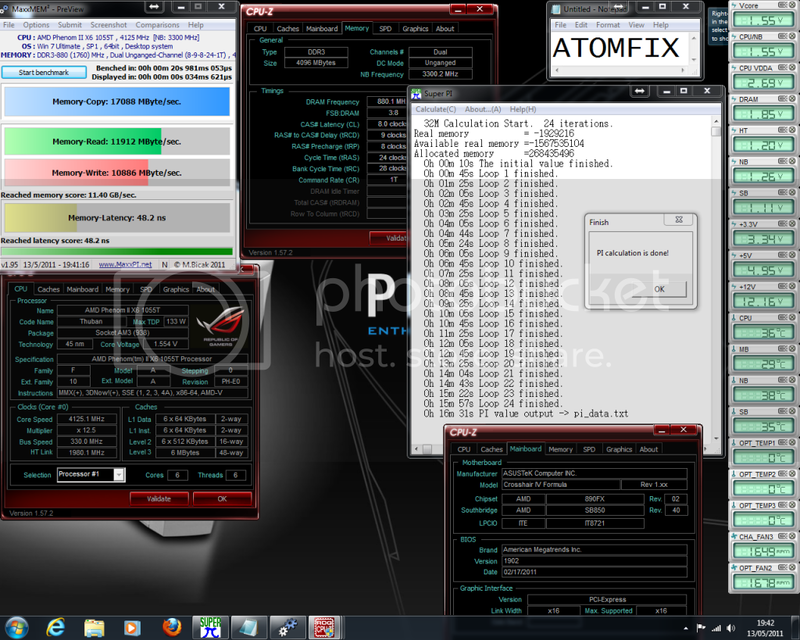 Overclock More"
Here's my scores, just to rub it in! Ignore my PI Score, something went wrong with it and it used 1% of my CPU.